oh, interesting. you know what mod? or maybe a log? When using a resource pack the bow textures change into random textures. Are you using a resource pack for this mod? How does it changes textures for the bows on this mod? i use my own, but it dosnt change something from this mod, but inside are textures forvanilla bows and bow from another mod. Sorry, the delay is because there is not way to add loot to chest generation in forge for 1.9 mods. I am waiting for minecraft forge to add a way to do this. I would soooo love it. Do I have to generate a new world then? Yes, or travel far to find new chests. Two things changed in 1.9 that I still cannot use: sounds and chest loot. Still waiting for the forge guys to implement functions for it. Art for these swords is beautiful. The mechanic is (as was eloquently put below) 'simple and robust'. It's fun but it's not something that requires a massive amount of commitment to get into. Mod-integration is, as always, a biggie. Randomly Generated Tinker's Construct weapons and/or tools would be interesting. The chance (probably small) to find pre-enchanted weapons would be a small, but nice feature. The ability to find some weapons with material identifiers; i.e. 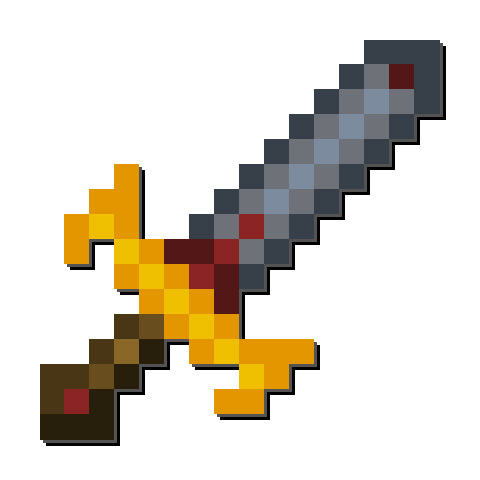 finding certain weapons tagged as 'gold' and, therefore easier to enchant or finding 'diamond' weapons that might have a slight multiplier to durability based on quality. Tying in to this suggestion, Thaumcraft integration could allow you to have a small chance to roll one or two different Thaumium weapons that, because they are thaumium, would be easier to enchant and would be able to hold the thaumium-specific enchantments. I don't know how easy or possible any of these things are and the mod is great as is but it does feel a bit like it's mostly aesthetic and of limited use atm. Simple and robust. I like it. If you want to submit your ideas please do, over at this thread on the iskall85 forum. Could you add tinkers construct compatibility? I think it would be cool if you could get random tinkers tools from these cases.